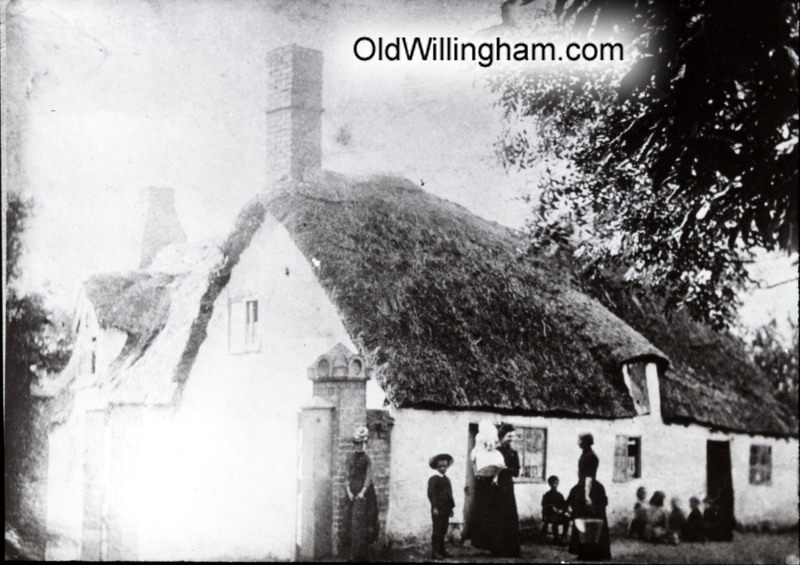 This month’s photo shows people in their Sunday best outside a rather dilapidated cottage. One woman is holding a baby in a fine white dress and the boy next to her has a wide brimmed hat. On the right, a group of children are sitting on the ground playing. It’s a happy scene. But while the cottage looks pretty to us, the reality was that such old buildings were often damp, dark and crowded inside. There would be no electricity and water would have to be carried from the village pump on the green. The location of this building is given away by the brick pillar with the carved stone on top. These pillars were outside the old Baptist Tabernacle on George Street – and some of them are still there outside the new church building. This clue tells us that the cottage was by the lane next to the Tabernacle where George street descends to the fen. The picture is probably taken around 1900.